right-click anywhere in the page a choose Inspect Element. The Firefox DevTools have many options that help developers customize their experience, such as the option to Enable time-stamps in the Web Console, or to Disable HTTP Cache, which is used to simulate first-load performance in all pages that have DevTools open. press Ctrl+Shift+O (Windows and Linux), Cmd+Shift+O (macOS) to show the Settings panel. 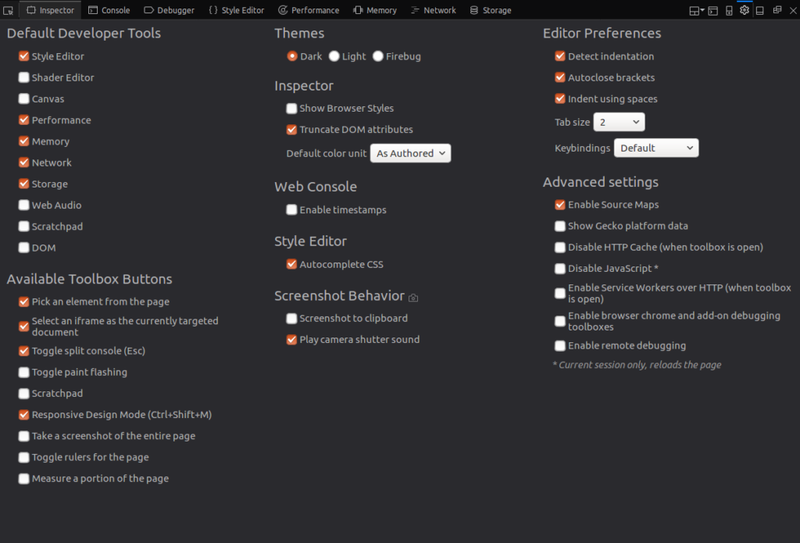 Here you can choose your default tools, the buttons you want to show in the toolbox, themes (dark-light-Firebug) and other advanced settings. 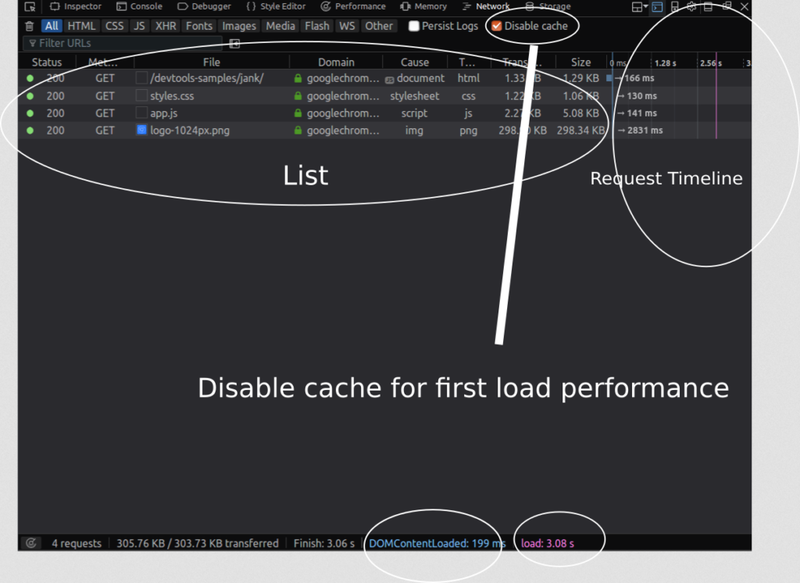 When analyzing the performance of a web application, you need to differentiate between load-time performance and run-time performance. 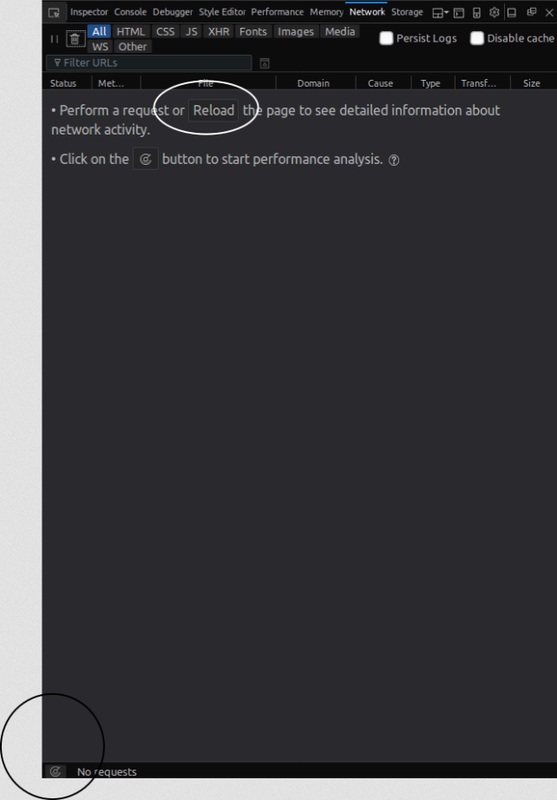 Let’s look at the Network Monitor and the Performance Tool. The Network Monitor shows you a tabular view of all network requests that Firefox made (for example, when it’s loading a page, or sending XMLHttpRequests, Fetch API requests etc.). It can also display request-related HTTP headers, HTTP responses and cookies, and let you search through them. You can also use it to perform, display and save a performance analysis of the current page load. In a nutshell, this tool can be used to determine how long the browser takes to download different assets of a web page. You can also use this tool to monitor and single out requests that are slowing or blocking the web page’s fast loading. The Network panel shows you when principal events are fired (DOMContentLoaded and load). Each request in the network list has a timeline column which displays timing information related to the request, such as the total time taken to load the resource. DevTools marks major life-cycle events in the report, like DOMContentLoaded, and page load. The blue refers to the time when the event DOMContentLoaded is fired; the purple line refers to the time when the page’s load event is fired. The DOMContentLoaded event fires right when the HTML document is completely loaded and parsed, not including CSS style sheets, images, and frames. The event load fires when the HTML document and all associated style sheets, images and frames are completely loaded. Once you click on a request in the requests list, you can a see right-docked details pane which has many different tabs such as headers, params, response, timings and security. For performance, we’ll particularly look at the timing information. Blocked is the time spent in a queue waiting for a network connection. Sending is the time taken for sending the request to the server. Receiving is the time taken to receive the response from the server or (if it’s cached) to read it from the cache. Waiting is the total time waited by the client before the first byte has been received. In other performance analysis tools like WebPageTest.org or Chrome’s DevTools, this is called TTFB or Time to First Byte. There’s also DNS resolution, which is the time taken to resolve the host name of the server, and Connecting, which is the time taken to open a TCP connection. The Network Monitor integrates a performance analysis tool that can be used to analyze the load-time performance of your web page. reload your page or make a network request while your Network monitor is open (actually this is going only to show tabular information about requests not do a load-time performance analysis). The web page is tested with an empty cache, and with a primed cache. Without caching, which emulates the first-time visit when assets are still not cached. 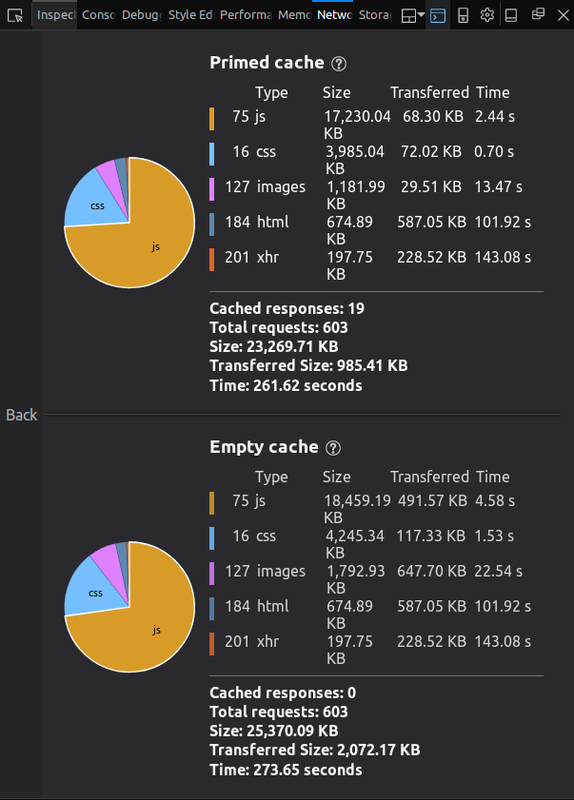 With caching, which emulates the second-time visits. The browser has already cached the app’s assets, eliminating many round-trips to the server. You can also use the Disable Cache setting to emulate the first-time load of a web page when the DevTools are open on any tab. This single thread is responsible for running all the work the browser is doing such as layout rendering, calculating styles and collecting garbage. With the Performance tool, you can start a performance analysis of your currently opened web page over a period of time that you can control with start and stop recording buttons. The tool then shows you a summary, and tabular and graph views of the operations the browser was doing to render your page. You can look for and detect long-running pieces of code that block the single thread using the Performance tool. look for any long-running functions or events, and focus (zoom in) on the time portions where FPS is low. when you find any activities that can be targeted for further optimization, you can use other sub-tools to get detailed information about where to take action. Make sure to follow some user interaction scenarios and interact with the different parts of your app’s UI during the profiling process, particularly the parts you want to optimize. Also avoid unnecessary extra actions: for example, don’t interact with the parts you’re not trying to analyze, since they’ll just add more noise to your report’s results. Firefox’s DevTools support selecting or narrowing the time range over the profile’s time. You can click on the timeline or the FPS chart section, then drag your mouse to select a span of time. Once you stop dragging, DevTools updates the other views and charts to only display information about events that happened during that time span. The frame-rate chart displays the frames per second over the period of the recording. When the recording is running, this chart acts like an FPS meter with live values. The FPS chart shows the max, min values of FPS and the average FPS value over the time of profiling. All these values can quickly tell you if you have any performance bottlenecks. You can use this chart to quickly spot visual gaps (collapses) and inconsistencies that denote severe drops of the frame rate (meaning the browser is having performance bottlenecks). a form of data visualization that helps in understanding the cumulative effect of sequentially introduced positive or negative values. 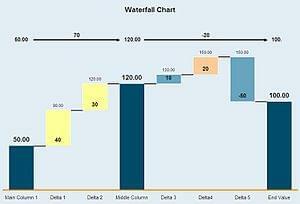 The waterfall chart is also known as a flying bricks chart or Mario chart due to the apparent suspension of columns (bricks) in mid-air. Layout operations or reflows and style calculations are expensive, so these can be potential areas for optimization. See this Google article for more details. Self time refers to the time taken solely by the operation without considering the functions it calls. Total time refers to the time taken by the operation and the functions it calls. 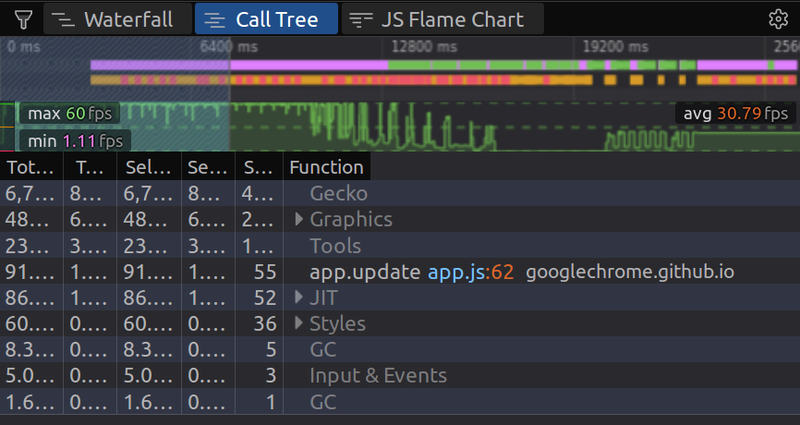 The Call Tree tells you, statistically, in which functions (aggregated) your browser is spending most of the time across a recording. 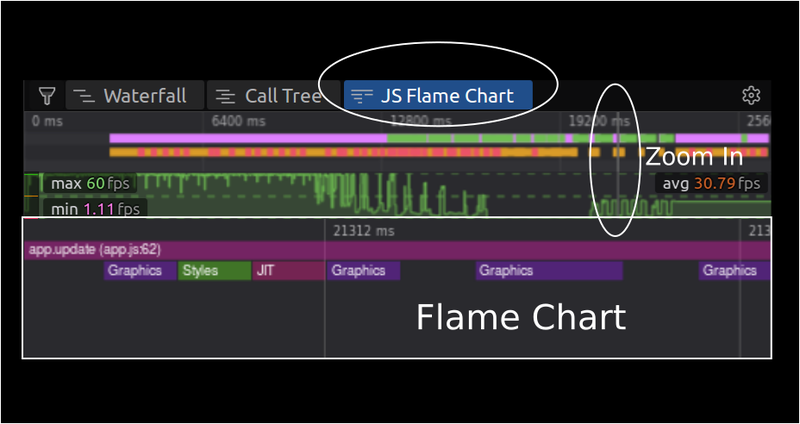 A Flame Chart enables most of the hot code-paths to be identified quickly and accurately. Stacked bars mean that the top operation, which exists directly in the CPU, invoked the bottom operation. You can read more about Flame charts here. 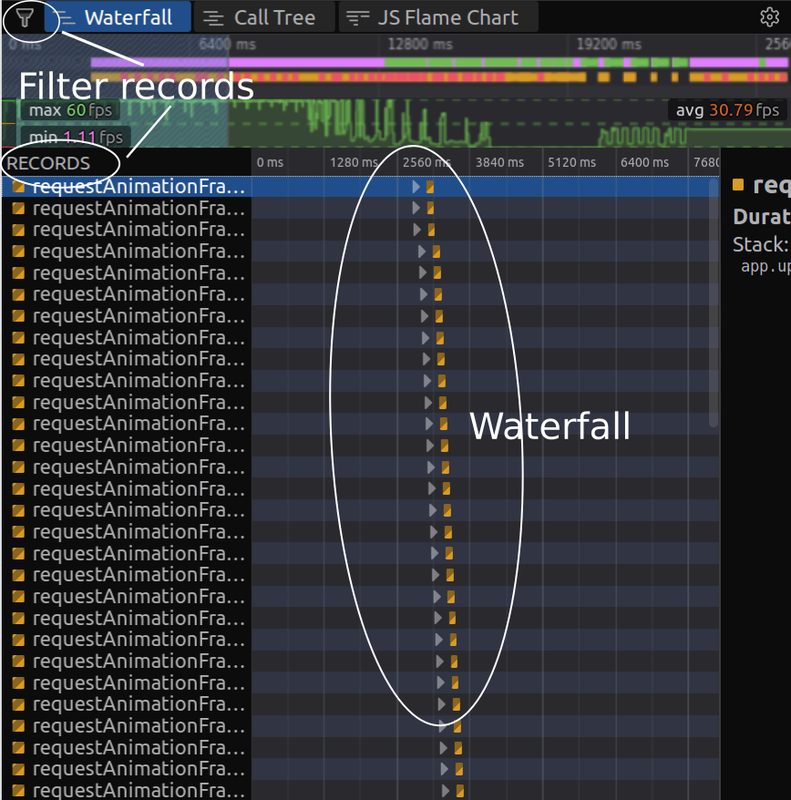 The Flame Chart shows you the state of the call stack of particular functions at particular times of the recording. The Flame Chart has tons of data, so to get meaningful readings you need to zoom in until you select a few milliseconds. You can use colors to distinguish between operations in different views, quickly spot the type of the operation causing issues, and to keep up with the operations’s types when switching between different perspectives. You can filter out the single activities that you want to see in your charts and views via this menu, where you can also see the different colors associated with the different operations. For example, if you’re working with CSS animations, what you need to focus on are activities such as Recalculate Style, Apply Style Changes, Layout and Paint. You can filter out the other activities for less noise. In this article, we’ve seen how to get started with Firefox’s DevTools and how to use different performance-related sub-tools. 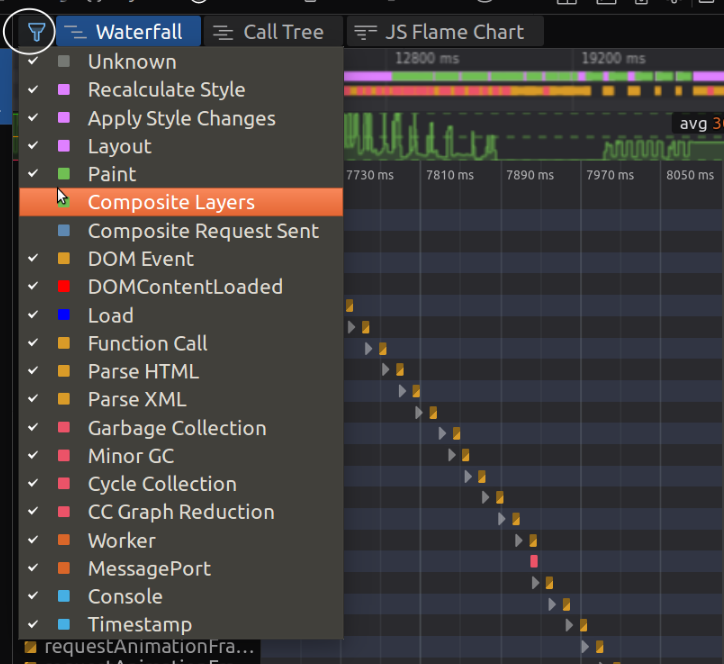 Firefox’s DevTools are incredibly comprehensive, and with Firefox’s recent performance upgrade, it’s all the more able to accurately identify truly problematic areas of a website’s rendering processes. We encourage you to explore further on your own, now that you’re familiar with the terminology and know what to look for.